The boat motor included with FAB 1 will also work with TB 4 or the smaller FAB 1 included with TB 1! Thunderbird 1 is rather large in 1:350 scale - around five inches long! TB 4 and FAB 1 are slightly smaller in 1:144 scale. These great pre-finished (minor snap assembly required) models are highly detailed and long out of production - don''t wait, Order NOW! 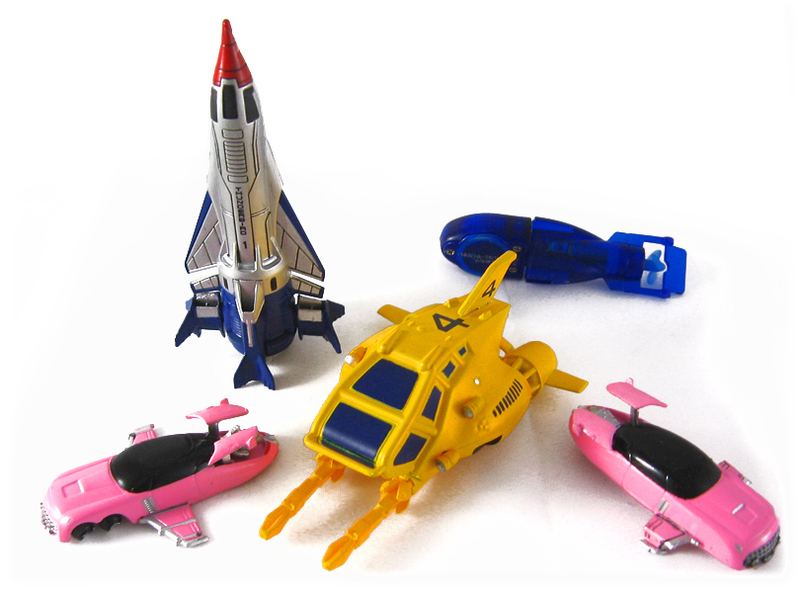 Thunderbirds 2 and 3 are available in the Takara Thunderbirds Movie Vehicle Collection, also available. Please click the link in the upper right of this page for more info. Four Accurate Vehicles from the Thunderbirds Movie!